We were ready for a change and realized it was time for some new packaging. We wanted something that reflected who we are. Yes, we print shirts but we love what we do and we have fun doing it. We wanted packaging that said that as well. Johnny Cupcakes has been around forever and is incredibly talented and creative. We love checking out what he’s up to. Here’s one of his t-shirt packing concepts. Another company that has some creative and fun packaging is Birchbox. We love the way they use lots of colors and patterns. Mixing and matching everything together to make creative combinations that work. 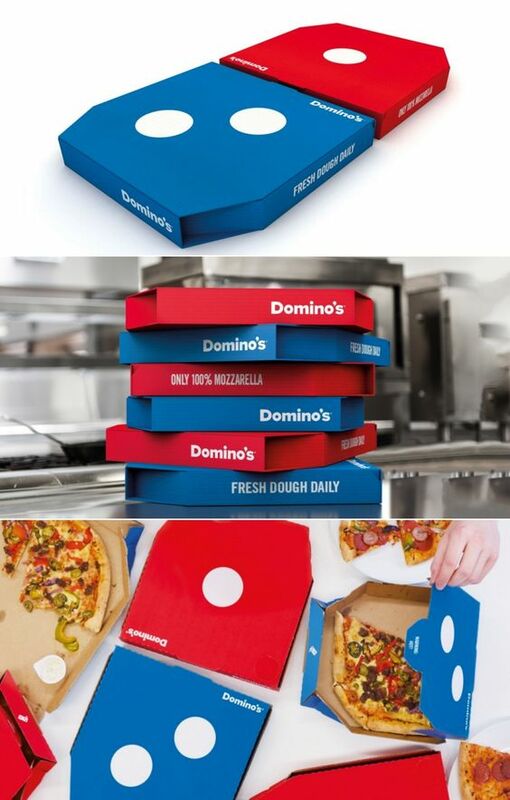 Another fun concept is this Dominoes UK packaging. They played off the name and also kept the boxes clean and simple. We love the bold solid colors. One of our first concepts was to create a sketch collage of all the things that represented UberPrints and custom t-shirts. We had fun with it but it didn’t seem to fit the look and feel we were going for. We finally decided that our blue was what we wanted to center the design around. We sketched the words Stay Creative using halftones to play off of screen printing. We kept the back of the package simple and clean. It’s kind of a party in the front business in the back mailer. We think it’s a fun way to receive your custom tees. Next Does This Shirt Make Me Look Frat?